Winner of the 2013 BBC New Comedy Award and Amused Moose Laugh Off finalist in the same year. 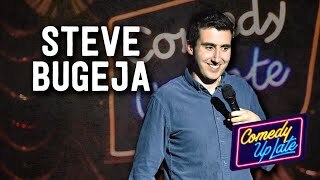 We do not currently hold contact details for Steve Bugeja's agent. If you are a comic or agent wanting your details to appear on Chortle, click here.